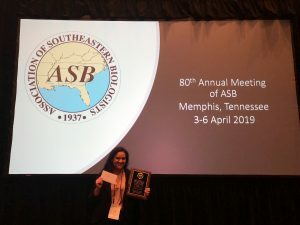 Tania Perez recently attended the 2019 Meeting of the Association of Southeastern Biologists (ASB) where she completed an oral presentation titled “Investigating the Assembly Pathway for the Yeast Mitoribosomal Small Subunit” in the Cell and Molecular Biology catego ry. 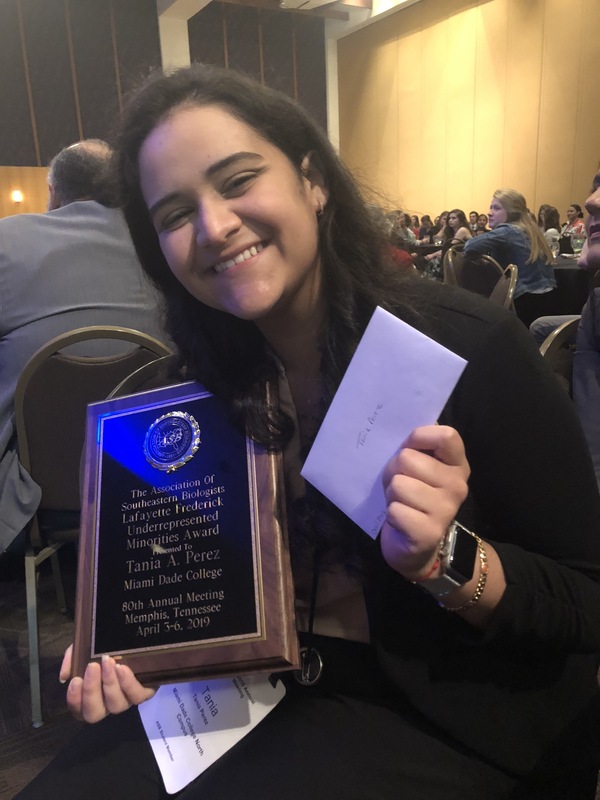 She was awarded the Lafayette Frederick Underrepresented Minorities Scholarship–which supported her attendance of the conference. 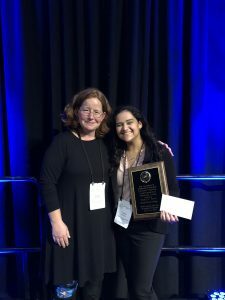 Furthermore, Tania won the ASB Student Oral Presentation Award for having the best presentation in Cell and Molecular Biology.